Samsung: Nexus Two Rumors Are "Simply Not True"
If reports were to be believed, a Samsung press event on November 8 would set the stage for the formal introduction of a new Google-branded handset, the Nexus Two. 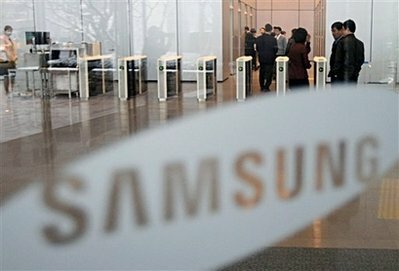 Speculation was rife, Gizmodo had sources that had handled the “new” device, others had contacts within Samsung that had confirmed existence of the handset. It was suggested the device would be one of the first handsets to feature the Gingerbread Android firmware and could possibly be a refresh of the Galaxy S smartphone. Today, all of those rumors have seemingly been put to an end after Samsung confirmed to Korean website Damawa that the Nexus Two rumors were “simply not true”. This almost certainly paves the way for the launch of the new Samsung Continuum, an Android smartphone that will be available in the US via Verizon. Early specifications hint that the Continuum will be powered by a 1GHz Hummingbird processor, featture 336MB RAM and will have a Super AMOLED display. A few days back we debated whether the November event would provide the platform for the Nexus Two launch. Using the invite as a reference, an invite that features Samsung’s Touchwiz icons, and the fact a Google branded phone would be powered by a vanilla version of the Android firmware, we believed the November 8 event would be used to showcase a new Samsung-branded phone, not a new Google handset. There’s a week until it all becomes clear, so expect some further developments on this story. Read next: Coverity: Android Has "88 High-Risk Defects"